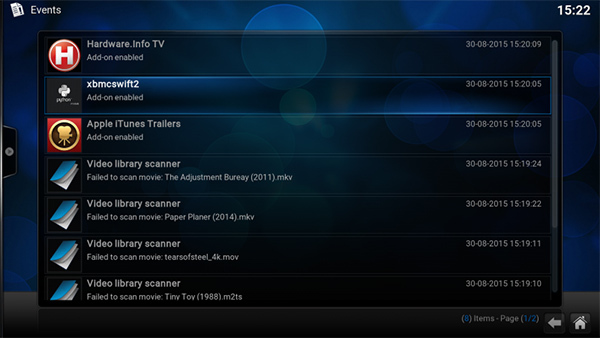 The developers behind the extremely popular Kodi media center platform – formerly known as XBMC – have publicly updated the software to version 16.0, or Jarvis as it’s more affectionately known. Rather than being a version of Kodi that introduces a number of sweeping changes, version Jarvis 16.0 brings a plethora of under-the-hood improvements that should hopefully improve the end user-experience. Of course, there is also a few handy little user-facing improvements that will give Kodi users something to sink their teeth into with this latest update. 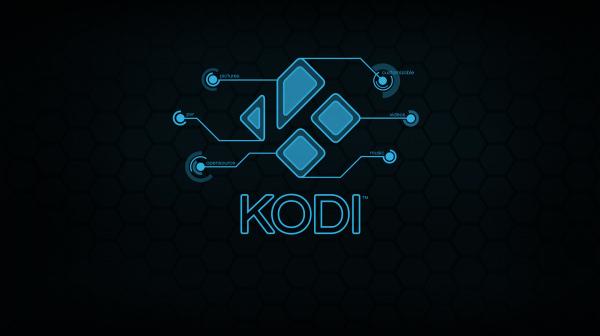 The Kodi team have put a lot of effort into improving how the platform communicates with those interacting with it. There are a few new features and changes but its under-the-hood where Kodi seems to have amassed most of the updates. Kodi 16.0 Jarvis adds a new event logging feature that displays a continual list of updating events that Kodi deems important to the user. The event list will also include information on erroneous occurrences that can prove handy with failing plugins, giving the user a chance to fix the issue. As an example, if a new library is scanned in and a number of videos weren’t successful as part of the import, the event logger will instantly flag that failure with a call to action to fix it. Kodi 16.0 Jarvis also introduces the long press functionality on a remote control that users have been crying out for. The long press functionality has been added as way of dealing with Android TV device remote controls that don’t ship with a contextual hardware button built-in. The solution appears to have taken some inspiration from the touchscreen UX by introducing a contextual on-screen menu through a long press on the OK/Enter button on the bundled remote control. Obviously, this only works when accessing Kodi through a set-top box type piece of hardware. Kodi users can also expect Jarvis to bring Music Library improvements, as well as a core focus on improving the add-on manager directly within the Kodi experience. There are some visual changes in the add-on manager, such as renaming the “roll-back” button to “Update”, which in turn introduces a new list of available updates when interacted with. 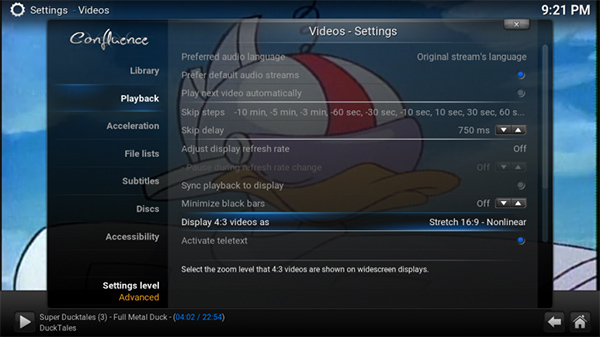 There’s also a revamped code for stretching 4:3 content to 16:9, so unlike in the past where the stretching resulted in warped content, this updated Kodi fixes that. On the platform level, Kodi now supports DirectX 11 and also introduces Android Surface Rendering. We’ve now altered the way we display Kodi on Android. The video is always displayed on one Android surface while the UI is displayed on a second Android surface. This allows Kodi to display its skin at its native resolution (typically 720p), while simultaneously displaying 4K video on the same screen. what about airplay? second scr mirroring finally working? ipad to apple tv3..